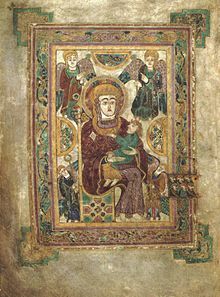 Trinity College (Irish: Coláiste na Tríonóide), officially the College of the Holy and Undivided Trinity of Queen Elizabeth near Dublin, is the sole constituent college of the University of Dublin, a research university located in Dublin, Ireland. 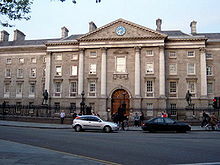 The college was founded in 1592 by Queen Elizabeth I as the "mother" of a new university,[Note 1] modelled after the collegiate universities of Oxford and Cambridge, but unlike these other ancient universities, only one college was ever established; as such, the designations "Trinity College" and "University of Dublin" are usually synonymous for practical purposes. 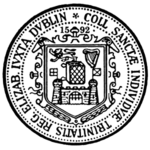 The college is legally incorporated by "the Provost, Fellows, Foundation Scholars and other members of the Board" as outlined by its founding charter. 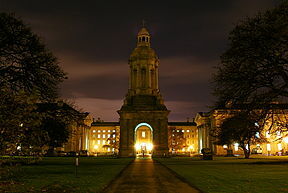 It is one of the seven ancient universities of Britain and Ireland, as well as Ireland's oldest surviving university. 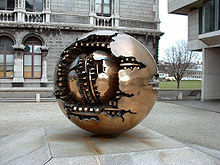 Trinity College is widely considered the most prestigious university in Ireland and amongst the most elite in Europe, principally due to its extensive history, and unique relationship with both the University of Oxford and the University of Cambridge. In accordance with the formula of ad eundem gradum, a form of recognition that exists among the three universities, a graduate of Oxford, Cambridge, or Dublin can be conferred with the equivalent degree at either of the other two universities without further examination. 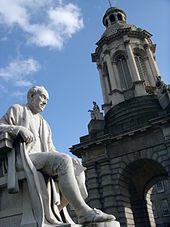 Trinity College, Dublin is a sister college to St John's College, Cambridge and Oriel College, Oxford. There are two rival student newspapers in Trinity. 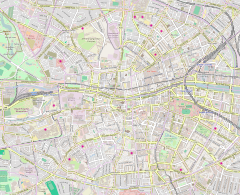 Trinity College Dublin Students' Union funds The University Times. Since its founding in 2009, the paper has consistently won national and international awards, including the award for best all-around non-daily student newspaper in the world from the US-based Society of Professional Journalists. Even though it is funded by the union, it is often critical of its activities. In 2019, Provost Patrick Prendergast said that "The University Times has pursued an independent course in many aspects of College life, and done so fearlessly." 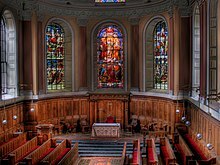 Trinity News, meanwhile, is Ireland's oldest student newspaper, having been founded in 1953. Like The University Times, it publishes both an online edition and a print edition every three weeks during the academic year. For the last 10 years the paper has been edited by a full-time student editor, who takes a sabbatical year from their studies, supported by a voluntary part-time staff of 30 student section editors and writers. Student magazines currently in publication include the satirical newspaper The Piranha (formerly Piranha! magazine but rebranded in 2009), the generalist T.C.D. 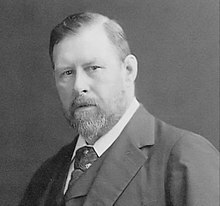 Miscellany (founded in 1895; one of Ireland's oldest magazines), the film journal Trinity Film Review (TFR) and the literary Icarus. Other publications include the Student Economic Review and the Trinity College Law Review, produced independently by students of economics and law respectively, the Trinity College Journal of Postgraduate Research, produced by the Graduate Students Union, the Social and Political Review (SPR), now in its 22nd year, the Trinity Student Medical Journal, The Attic, student writing produced by the Dublin University Literary Society and the Afro-Caribbean Journal produced by the Afro-Caribbean Society. Some older titles currently not in publication include In Transit, Central Review, Harlot, Evoke, and Alternate. More recent publications include the counter-cultural magazine The Burkean Journal; a politically and culturally conservative magazine named after one of Trinity's most notable alumni, Edmund Burke. 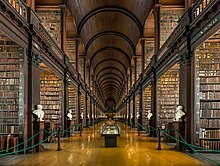 ^ "Legal FAQ - Secretary's Office - Trinity College Dublin". 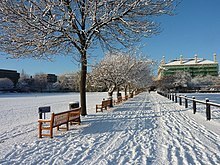 www.tcd.ie. Retrieved 18 March 2019.